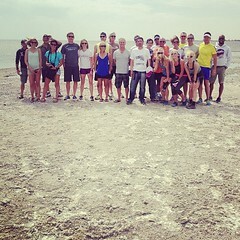 Official Charity: Bald Head Island Conservancy Please Join / Donate! This event is held under permits from the Village of Bald head Island and Fort Fisher State Recreation Area, and the incredible support of Bald Head Island Conservancy. We thank them, and all our North Carolina friends, for their support! 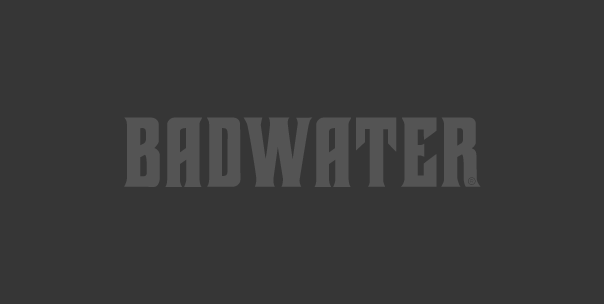 We are excited to announce that we are making progress on the BADWATER® Cerro Gordo concept and race. We’ve had a map created and a simple race logo. 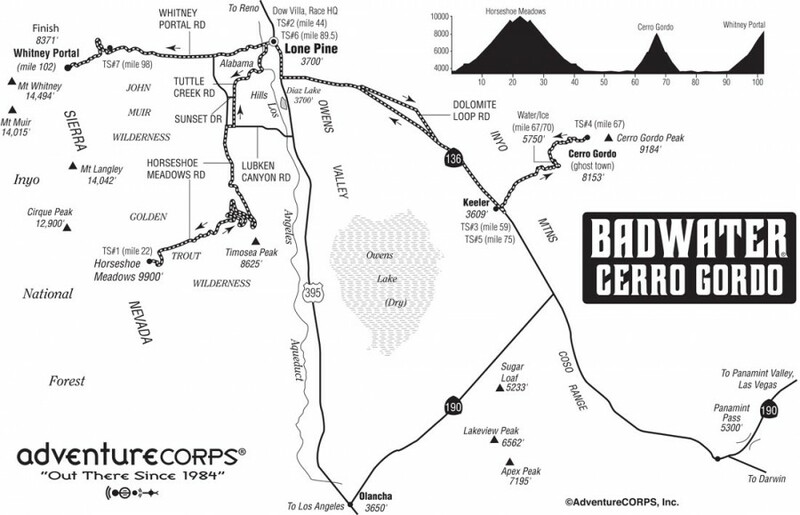 The Badwater Cerro Gordo 102-mile footrace will be based upon the Badwater 135 route used in 2014, but excluding the 33-mile out-and-back section between Keeler and Darwin. It will cover 102 miles (166km) non-stop from Lone Pine, CA to the summit of Horseshoe Meadow (elev. 10,000 feet / 3048m), then across the Owens Valley to a 5,500 foot dirt road ascent to the ghost town of Cerro Gordo, and then, after passing back through Lone Pine, a final dramatic ascent to the highest paved point on Mt. Whitney, CA. 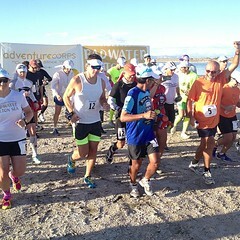 The start line is at Lone Pine, CA, and the race finishes at Mt. Whitney Portal at 8,360’ (2530m). 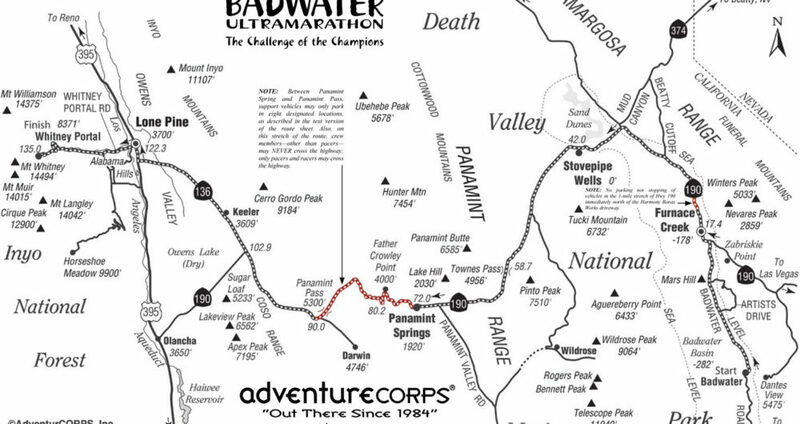 The Badwater Cerro Gordo course covers three mountain pass ascents for a total of over 17,000’ (5,800m) of cumulative vertical ascent and 12,700’ (4450m) of cumulative descent. Whitney Portal is the trailhead to the Mt. Whitney summit, the highest point in the contiguous United States. It will be a terrific winter counterpoint to the Badwater 135! The first edition will be held in Winter 2015 / 2016 or 2016 / 2017. Details forthcoming on the event webpage here on the BADWATER.com site. The race begins here adjacent to a pool of saltwater located at the lowest place in the Western Hemisphere. The first oasis in our journey. A small general store, restaurant, hotel, camping, and ice are available, plus a gas station just 2/10 of a mile up the road next to the National Park Service Visitors Center. Stock up here! A small general store, gas station, restaurant and motel. Location of the race’s Medical HQ for most of the first 15 hours of the race. Stock up here! 17-mile long ascent with 5000′ of elevation gain, then a 10-mile long descent with 3000′ feet of elevation loss into the Panamint Valley. It’s a steep and narrow road with limited opportunities to park. Support vehicles, crews, and runners must be cautious and extra aware of the traffic. Gas station / mini-mart, plus restaurant and motel. Stock up here! Also, we rent out “The Cottage” as a way station for any and all race entrants and crews to use during the race: Bring your own towel, soap, and shampoo and make a big effort to keep the room and bathroom tidy. After passing Panamint Springs, a long, steep climb follows on a steep and narrow road with limited opportunities to park. Support vehicles, crews, and runners must be cautious and extra aware of the traffic, and ONLY park in the eight designated parking zones between Panamint Springs Resort and unmarked “Panamint Pass” at mile 84.9. The bathrooms and parking lot that designate this view point are not the top of this ascent, though you may hope so. Beyond here, the road continues to rise to 5000’ over rolling hills, then eventually descends into the Owen’s Valley. Just a few miles to the south of our route is the small inhabited ghost town of Darwin, the website for which touts “NO broadcast TV; NO AM/FM radio, NO cell signal; NO stores; NO restaurants.” This is where the race usually starts to get serious for all entrants. Look for Mile Marker 28 about nine miles ahead to indicate your 100-mile mark! This is a small mining town with no facilities which abuts the Owens Dry Lake Bed to the left of the highway. Amazing views of Mt. Whitney and the Sierra Nevada abound. A dirt road to the right ascends to Cerro Gordo, an authentic ghost town which was featured in the 2014 Badwater 135 and will be featured again in the upcoming “Badwater® Cerro Gordo” 102-mile Ultramarathon. Lone Pine offers the weary runner and crew all the amenities of a real town: fast food, pizza, restaurants, motels, gas stations, grocery stores, and more, not to mention our Race Headquarters at the Dow Villa. Restock here for the climb to Whitney Portal. Turn left onto the Whitney Portal Road to begin the final leg, the longest and steepest climb of the race (13 miles with 5000 feet of elevation gain). After the turn from Hwy 395, it’s 8.4 miles to Time Station #6, located at the start of the switchbacks. Temperatures will steadily decrease during the ascent (though depending on time of day). Be prepared with extra layers of clothing and rain gear the final few miles; at night it can approach freezing temperature. Be sure your support vehicle is always parked completely off of the road and that you do not block traffic, even for a moment. Congratulations! You have finished the world’s toughest foot race! A small diner/shop are open during daylight hours. There is also a stocked fishing pond and a campground (because, of course, after running 135 miles, you really want to go fishing and camping!). 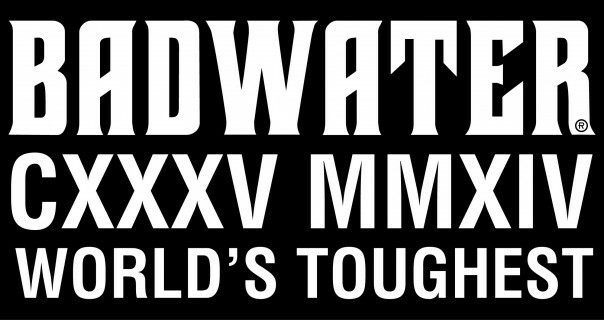 For all the Badwater 135 race route details, click here. Stovepipe Wells to Townes 18 miles + 5,000 ft.
Panamint grade (west) 15 miles + 3,400 ft.
Lone Pine to Whitney Portal 13 miles + 4,600 ft.
Townes to Panamint Valley 8 miles – 3,400 ft.
Darwin to Owens Valley 12 miles – 1,300 ft.
Below are real, actual time splits from 2015 and 2016 racers, which are far more useful than average speed time splits, which vary widely in reality due to the severe changes of topography along the course, not to mention the heat, or cold, wind, and more. Note there is some range: some runners “fall behind” or “make up time” in various stretches depending on how they feel, eat, drink, and many other factors. This is why we included real-time splits for several different runners in the 34-hour, 40-hour, 44-hour, and 46-hour range. Everything is in elapsed time. 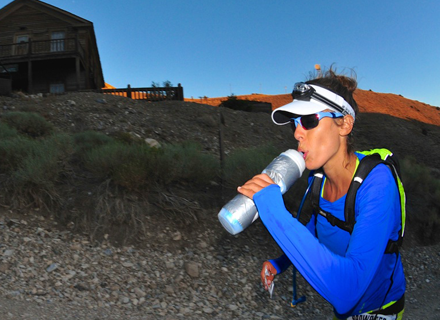 The time limit at Panamint Springs (72 miles) is 24 hours. The time limit at Darwin (90 miles) is 33 hours. 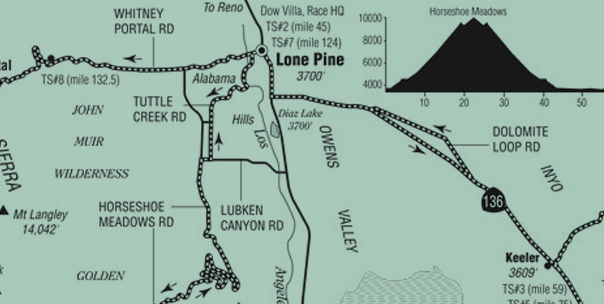 The time limit at Lone Pine (122) is 42 hours. For an Excel spreadsheet (.xlsx) version of this data, click here. 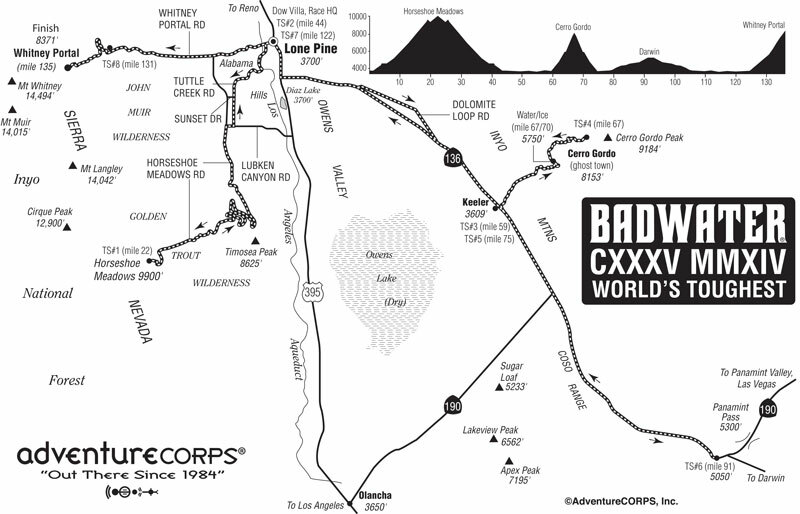 Behold the new and improved 2014 edition of the Badwater 135, the world’s toughest foot race! Run southeast on Hwy 136 / hwy 190 to the Darwin Turn-Off. Created with GPS measurement: June 2014. Dangerous, narrow area! No slow driving or stopping on road! No slow driving or stopping on road! Official distance is 135.0 miles. Remember all car odometers have error. Distances above are accurate in a relative sense, but you may find variation in the overall distance, as we did when creating the above route sheet. 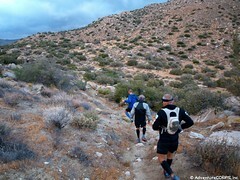 > Images of the Cerro Gordo ascent / descent from Mile 60 to Mile 75 by Ben Jones. While 2014 race entrant Josh Spector and his crew trained on that stretch of the route. Read about Cerro Gordo, the Ghost Town. Download the May 2014 issue of BADWATER Magazine, featuring Badwater Salton Sea! Have you ever sat down and set yourself a really big goal, kind of a tongue in cheek one, not really thinking that it would ever eventuate, or come to pass. You might have thought that it was just a little too far out there and not realistically achievable. 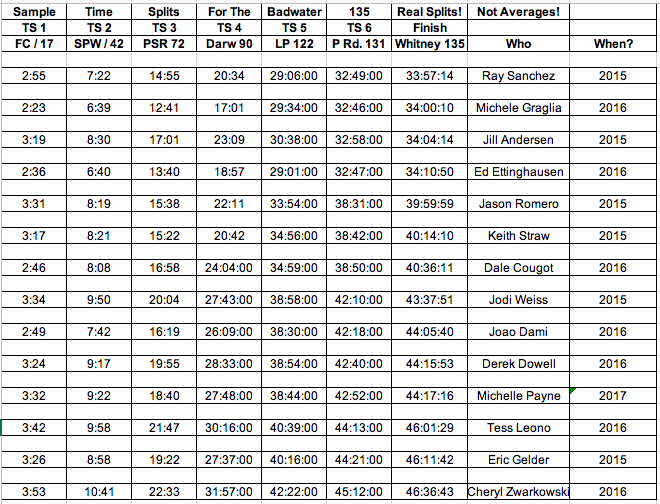 Badwater was exactly that, not really an obtainable one as far as I thought. But soon after completing the Brazil Ultra marathon in January 2009, it started becoming a little more tangible. Missing out on completing Brazil the second time in January 2010, with a dnf at 90km, I thought I’d lost the opportunity. I really needed that result in terms of my CV application for Badwater. Back in New Zealand, my coach, Jon Ackland—Performance Lab, hurriedly pulled some strings and found an event that I could tag onto and a 200km distance run eventuated out of that, which we could record online—a Badwater requirement for all races submitted on CV. Waitangi weekend rolled around in Auckland, about 10 days from getting back from Brazil empty handed, and I completed 200km’s on the waterfront, running between Mechanic’s Bay and St Helliers Bay in 40 hours, subduing a little the frustration I had felt from the Brazil dnf. The CV was dually filled out and submitted and I waited with baited breath, not expecting a positive response but knowing I’d given it my best shot. When the, “yes you are in” came back in March 2010, I couldn’t believe it. However, after the shock of actually getting into what is self promoted as the toughest foot race in the world, the planning and training had to start in earnest for a July 12th D Day. I would be running with some of the world’s elite runners of Ultra distance and it would be a privilege I certainly would not be taking lightly. Training went well. We mixed it up with flat long stuff, to simulate the salt lake flats of Badwater and hills to simulate the mountains we would be climbing. Where ever possible I integrated the two as you might run flat for 8 hours and then run hills for 6-7, due to the course layout so we factored in both into long days. Rest periods as well were necessary as I find I need these, sometimes a week of nothing to refresh my legs and back. I had a long period of time with hardly any running for the three weeks prior to leaving for Las Vegas, our base for a week prior to the run. This was because I was physically tired but also because I was finding Auckland’s winter just bloody hard to train in for any length of time, so cold! Sauna training was the focus for these three weeks as well, in order to acclimatise to the predicted 50 degree plus heat we would be experiencing. A week in Vegas at 40-44 degrees, and the meeting of our crew there and we were on our way into Death Valley, a three and half hour drive. 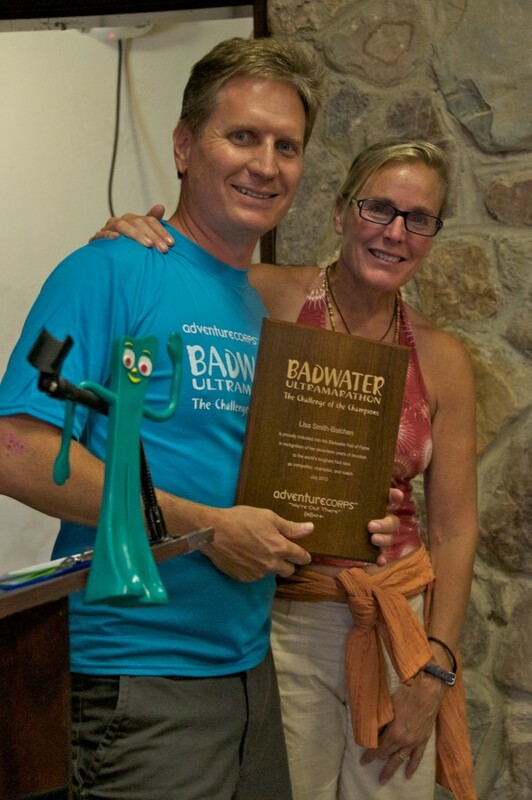 I’d interviewed two guys from the “volunteer” section of the Badwater website, both of whom lived in the USA, and offered them roles, and through Jon Ackland had come across another volunteer who herself had unsuccessfully applied a few years earlier. The three joined Lisa, my wife, and I, and we all hit it off straight away. I got great vibes early on from the way we knitted together. 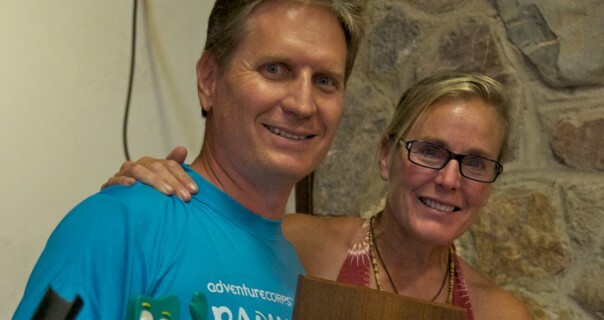 Barb Owen, from Canada, who had many 100 mile events and a Double Ironman finisher herself (that’s 2 Ironmans, one event!! ), Jay Riley, a paramedic and fire-fighter, and Jon Olszyk, both with a number of Ultras between them. They had taken a punt on me and I on them. We did a lot of purchasing of gear and food at a local Wal-Mart before leaving Vegas. I like supporting the little guy too and even found the spray bottles we would use to douse me down from the heat in a local beauty shop! The event day dawned, and all the prep and thinking about this race was gone and the realisation that I was running a race that only three other New Zealanders before me had run was hitting me fair and square in the chin. I was nervous, on edge and to be honest just a little concerned that I was out of my league. I had dreamed about this moment for so long, watched the YouTube clips of all the past races, watched the documentary “Running on the Sun” about 20 times, read up on as much as I could possibly get my hands on, spoken to last year’s runner and crew and here I was, on the start line, having just had a photo with the famous Dr Ben Jones, now Mayor of Badwater. I walked up to the start line having kissed my wife, hugged my crew and smiled for the press gallery. This was it! The race director Chris Kostman started counting down from 10 and we were off. Along with 30 others I was lucky enough to get the 6.00am wave which meant I had 4-5 hours before it got towards 50 degrees C. The previous days at Furnace Creek had shown us that you wake early to 40 degrees and by about 12.00 it’s close to if not above 50 degrees C. It may climb to 55 but usually that is further into the valley, near the second check point at Stove Pipe Wells, some 68 km’s away. I did exactly what I had trained to do for all the long runs back in Auckland. I walked for about 20 minutes, before I even thought about running. I let the adrenaline wear its way out and I settled down into my work. 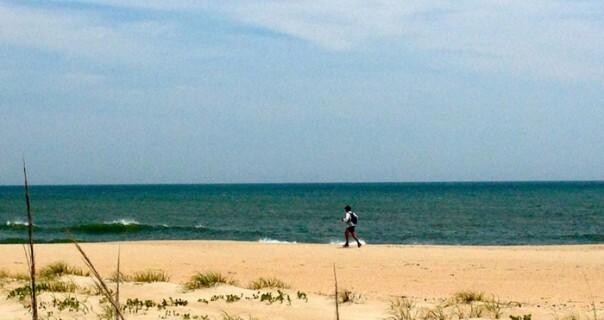 By the time I started running I was calmer and feeling good. I had a great first section, 17 miles, 28 km’s, to Furnace Creek, getting there in 4 hours 11 min’s. I felt strong and while my crew wanted me to stop and change shoes, I kept on running and met them further down the road. We had planned to change shoes every 30-40km’s. This was simply to maximise the cushion in the shoe and reduce the heat coming through to my feet. The road temperature gets as high as 80 degrees and the heat through the shoe is very noticeable early on. Lisa had taped my feet expertly again, each toe cocooned in its own plaster sock and then inside the glove fit of my Injinji socks, no opportunity for any friction or rubbing. I found this taping and sock system to be absolutely brilliant again. I did not blister on any part of my feet for the entire race, and not many racers can attest to that! me. I ground this section out, being conservative at times but always feeling in control. I was becoming comfortable with the heat. I got there in 11 hours 22 minutes, 41 miles, 72 km’s down. Past competitors had said to me to have a swim in the pool and a rest there. But the 60 hour clock was ticking very loudly in my mind and I was feeling great, so I thought I’d have a full gear change, a quick shower and get on my way. My crew were visibly tired but I had something to eat and got going with a down period of only 23 min’s from stop to start. I could tell that they had been hoping to have spent longer there, the pool looked very inviting! As it was they were to get a reprieve fairly soon. From Stove Pipe Wells you immediately start climbing with the eventual destination being “Father Crowley’s Point”, 5000 feet up, spread over 30 continuous km’s of straight up climb. However about 2-3 km’s out I was clearly having difficulty. My breathing had started to labour, I was sweating profusely, my speed had dropped off and I felt like crap! I was heating up big time and thankfully I’d picked up on the warning signs quickly. I advised my crew. They dragged out a piece of rubber mat we had and I lay down on the side of the road. They placed ice cold cans between my arms, ice packs over my torso and around my neck and over my legs. I was there for 35 minutes cooling down. When I got up I felt immediately better and was off again at my normal pace. It had come on incredibly quickly and I’d been very lucky that it hadn’t progressed into anything worse. For others I had spoken to they had had to return to Stove Pipe and recuperate. Every year this section of the race gets a number of people. What I also heard later was that it was 55 degrees C when we arrived at Stove Pipe Wells. I was approximately 16 hours in at this stage, about 10.00pm, and it was dark. I have never experienced 40 degree night running before. It was great at first but the more we got into the climb the less running we would do and the more walking. It was very steep in sections and just went on and on for what seemed hours. Reaching the summit was a great feeling but my feet were really starting to feel the effects of the race. However, if I thought they were bad then I had no idea how bad they would be in hours to come. Heading down the other side of this mountain to Panamint Springs, the third check point, was truly the toughest section of the race for me so far. I was starting to go into the hurt box and everything was feeling sore, really sore! Man did I grumble through this section. It seemed to go on and on. The worst thing was that due to the distances being unable to be assessed but the lights of the check point clearly visible, it seemed closer than it actually was. Like a mirage off in the distance it hung there seemingly no closer hour after hour. When I got there I was in a bit of a state, exhausted, very sore in the feet department and very grumpy. None of the crew wanted much to do with me, understandably, but they did correctly enforce a stop and sleep. I had crazily suggested going on but thankfully they forced me to stop. I found a side of a double bed unoccupied in the race rooms allocated to us and crawled onto it, lying next to a Mexican racer in the same state. Neither of us said anything, we were both lights out. I awoke with Lisa saying I’d had an hour’s sleep to find my Mexican friend had done a runner on me. And we hadn’t even got to introduce ourselves! I got up feeling groggy but soon felt considerably better. I had food, drink and got my shoes back on and took off feeling a huge surge of excitement realising I had got through an incredibly tough section and was into day 2 in relatively good shape. I had got to Panamint in 22 hours and 44 minutes and spent another hour and a half sleeping, eating and changing. I left there at approx 24 hours but had completed 72 miles, 116 km’s, more than half the course in one day and about 5 miles up on 48 hour pace. This knowledge spurred me on to race up the next climb with what seemed ease at first. My feet had calmed down with the 1 hour rest, and they had cooled down and reduced in swelling. I got to the top where it plateau’s for a while and headed for the next major check point, a downhill false flat to Darwin, 90 miles, 145 km. I got there at bang on 30 hours. I had averaged just 3 miles an hour for the race so far but was 45 miles from the finish line with 18 hours to do it in. It was no longer a 60 hour target but a 48 hour ‘buckle’ now looked achievable. In terms of talking about my race goal prior to the race I had been very careful to just talk about “completing” the race in the 60 hours available, when asked this question. 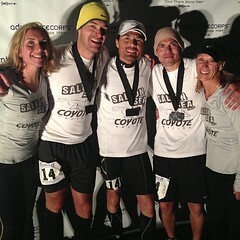 But secretly I had felt that if I handled the heat well enough I could possibly look at 48 hours and a Badwater Buckle. Now this was visibly in sight. From Darwin you can see the mountains off in the distance, and the finish line becomes a visible location. You are at about 5000ft and you start to go downhill to 4000ft at Lone Pine, a distance of approx 28 miles, 45 km’s, before you again climb to the finish line at the Whitney Portals, (8360 feet) the entry to Mount Whitney’s summit, (14000 feet). The climb to the portals is 17 miles straight up, about a half marathon, with the reducing oxygen and the affects of the race taking their toll on the speed and progress of all but the very best runners. From Darwin to Lone Pine, I started to focus heavily on the clock and distance and got regular 1km updates from my crew. What I didn’t know was that they were exaggerating the distance left, each time, to give me an additional buffer. I had been told by Barb that I should allow at least 5 hours to climb the mountain so I had in my mind 13 hours to get through the next 45 km’s to Lone Pine, some of it down hill. I started to feel confident about the 48 hour target for the first time in the race. However I did not want complacency to set in so worked hard to get to Lone Pine with as much of a buffer as I could manage. It was in the heat of the day now and really hot again. The last few miles to Lone Pine were incredibly tough, the feet were on fire again and I was returning to the familiar territory that I had experienced in Panamint Springs. I had another heat episode on the outskirts of Lone Pine and this time had a reaction to the cooling down effect as well. The same procedure as Stove Pipe was used but this time I cooled down so rapidly that the I went into convulsions and had to put clothing back on to warm up. It was an incredible sensation. One minute so hot I couldn’t go on and the next so cold I couldn’t control my body and the tremors it was racked with. Thankfully I calmed down after getting warm again and was able to keep going. Lisa advised that race ‘webcam’ was just up the road and that they had had texts from people, as we were back in cell phone range, and that they were watching and following us. I can’t remember what I said to those that were watching at home but I can remember feeling a huge energy rush to know I had support from all those miles away. The website that I had set up back home, (www.manonfire.co.nz) in conjunction with The charity I was running for—The National Burn Centre, Middlemore Hospital, Auckland, included a Google map and a ‘virtual’ me running down the course we had pasted onto it, courtesy of a satellite phone we had in one of the cars sending my GPS coordinates back to the website. I got to Lone Pine with 7 hours and 45 minutes to go to make the 48 hour buckle. Barb, who had crewed before at Badwater, reliably advised me I only needed 5 hours to climb the mountain to the finish line and that most people could do it in that time. To have the buffer I had was a testament to the hard work we had put in from Darwin, and my crew pacing and pushing me along. I had averaged 3 miles an hour from the start of the race to Darwin but had done nearly 4 miles an hour from Darwin to Lone Pine. I could now feel a lot more comfortable about the final climb. The climb began, once again at about 10.00pm when it was fully dark. This was good in one way, obviously cooler, but disappointing also as it would have been fantastic to have seen the views as we climbed up the mountain. It was a hell of a climb and seemed to go on forever once again. I remember having a pee on the side of the road in the pitch black, most of the way up, and being informed after the race that if I had of stepped off the road at that point I would have fallen a couple of thousand feet, such were the drops from the edge of the road. Not that I had any idea. I was truly operating now on fumes. It was one foot in front of the other. The lack of oxygen was now becoming a real part of the equation and my whole body was just exhausted. A very funny thing happened when we were about 200 metres from the finish. The area is renowned for bears, and low and behold we were greeted by a large black bear on the side of the road staring at us as we entered the car park area and final finish line. It was surreal, and quite possibly could have been dangerous, as these guys don’t play and are not cuddly! But we navigated our way past him, my crew actually moving faster than me for the first time for a while as they had fallen into my slow walking mode as well. My crew held back for me to cross the line and then followed in behind me. 45 hours, 41 minutes and 29 seconds, a medal and a buckle!! There were no woops of joy or laughs and shouting but just an incredibly intense feeling of satisfaction and pride on my behalf, hand-shakes all round, a big hug from me for Lisa and a whole lot of smiling from all of us. We were all too exhausted to do much else. 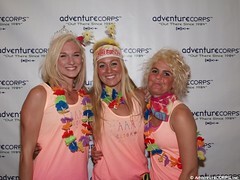 I thanked my crew from my heart as they were just as instrumental in my success, they were amazing. Chris Kostman, race director, asked the standard question, ‘so Dave, how do you feel?’ I struggled with a response. It was such an eerie feeling to have accomplished this absolutely huge thing. I think my response was that I felt that we had accomplished a really big mission, a mission that had had incredible up and downs throughout it and that had had a starting point many months if not years before, but that we had accomplished it now and that it was great! And so it was, mission accomplished!! Thank you to all sponsors, supporters, donors to The National Burn Centre and well wishers. Thank you to my crew!